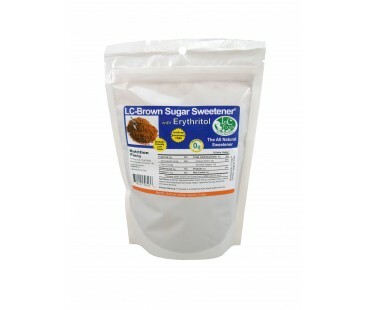 All natural low carb brown sugar sweetener with erythritol has ZERO net carbs! 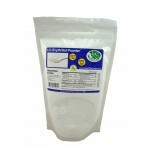 Contains erythritol, stevia and luo han guo. 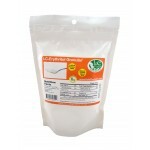 Oligosaccharide is simply Inulin chicory root fiber which helps as a flow agent to avoid clumping, and adds fiber. Completely all natural low carb sugar using no cane sugar, no corn sugar or syrup and no beet sugar! 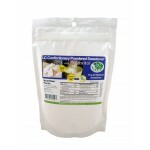 Enjoy sweetening how nature intended with this low carb all natural sweetener. 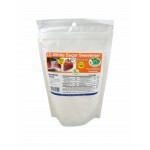 Our Low Carb Brown Sugar Sweetener - Erythritol has no bitter aftertaste. You can use it as a low carb sugar substitute 1 to 1 in your favorite recipes*. Try mixing 1/4 cup Low Carb Brown Sugar Sweetener - Erythritol with 1/2 cup butter and 1/4 teaspoon cinammon until creamy and smooth. Makes a great spread for your low carb waffles, pancakes and our fresh baked breads and rolls! Store covered in the fridge. 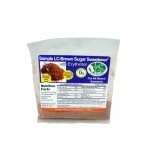 Prepare the brown sugar sauce from the package recipe and serve over low carb ice cream. * Do not use an erythritol based sweetener if you're baking with yeast - the erythritol doesn't activate the yeast, and your dough will not rise. Wow, this stuff is great. It actually has the taste of brown sugar, and out of the all the low carb sweeteners out there I think this one gets it just right. There is still a slight aftertaste, but there is NONE of the cooling effect that I absolutely hate from erythritol. Another great product from LC!